Have you been looking for a way to be heard? A way to make a difference in your community and state? We invite you to join the Statewide Young Adult Leadership Council! 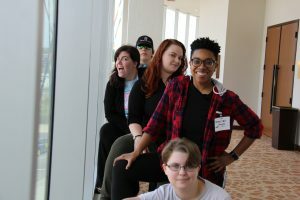 The Young Adult Leadership Council is made up of young adults ages 16-30 who have lived experience with mental illness, substance abuse, co-occurring disorder, or child-serving systems, such as juvenile justice, homelessness, and foster care. We meet monthly in Nashville to connect with others with similar experiences and passions, enhance leadership skills, and to learn how to advocate for ourselves and others.